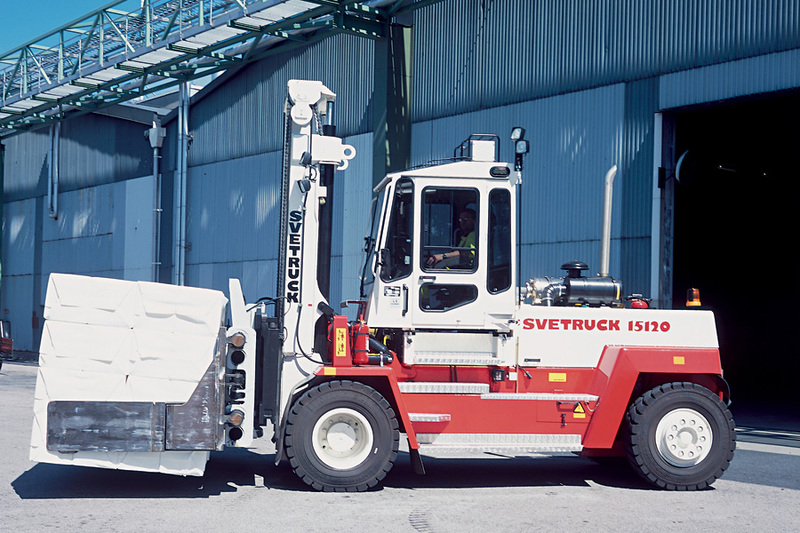 Clear-view masts for heavy forklifts is a design which was first invented in the 1970s by Svetruck engineers. 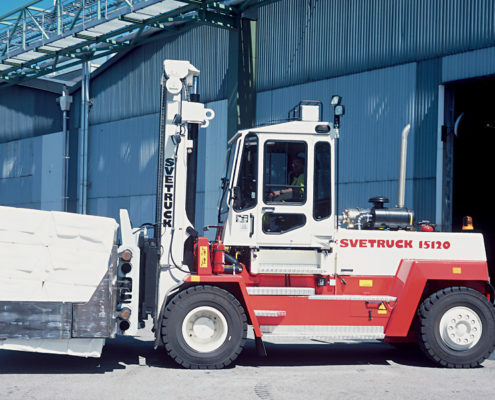 Since then it became a standard for Svetruck forklifts. 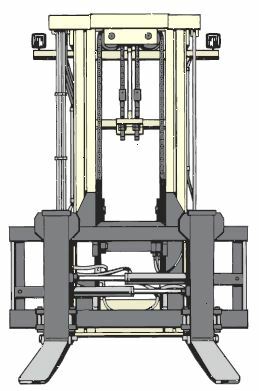 All our masts are manufactured in-house with welldimensioned mast profiles and powerful mast yokes for optimum torsional stiffness and bending rigidity. All carefully tested before installation. 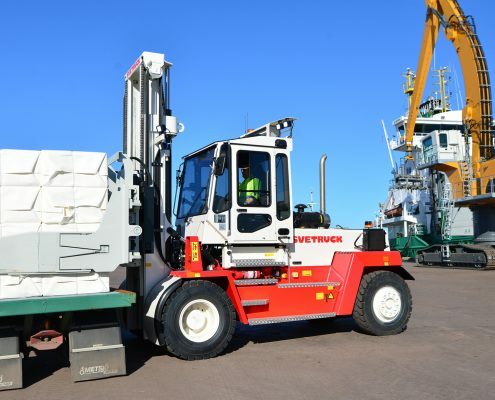 Hardened cam and support rollers in substantial sizes with a large wheel base for the inner mast. 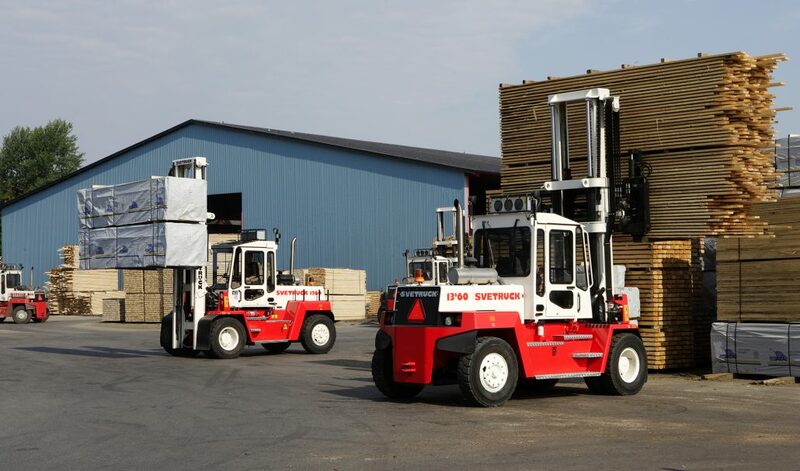 The forklifts are designed to provide the best possible and safe load handling in all situations. 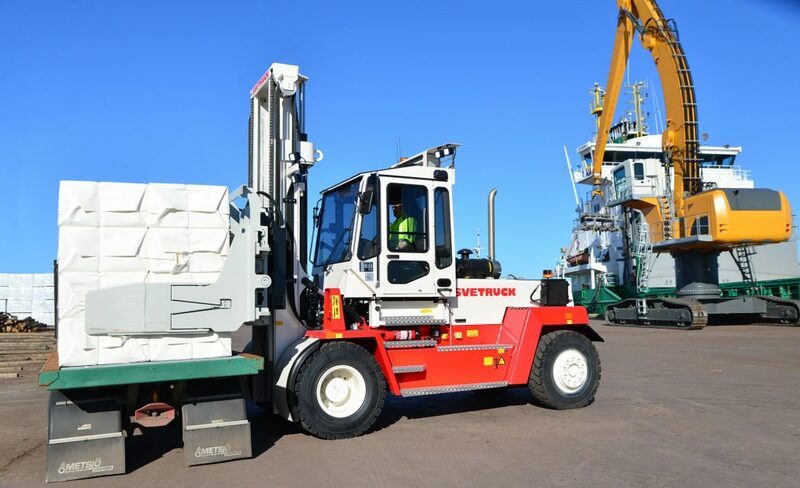 All masts are of open design that ensures optimum all-around visibility. 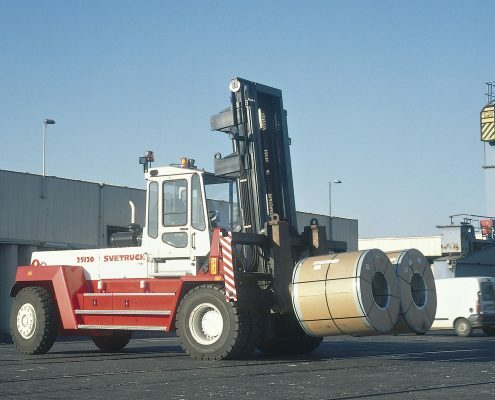 High grade steel is used in all masts, frames and carriages. 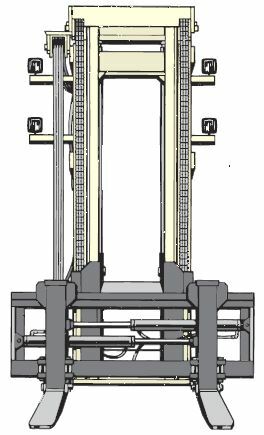 Mast with 6 mast rollers and 6 supporting rollers. Good visibility due to the lifting cylinders being mounted behind the mast profiles. 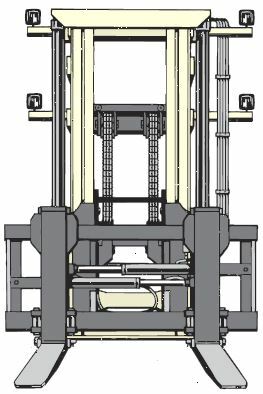 Mast with 4 mast rollers with dual bearings as well as 6 supporting rollers for the highest possible stability and low wear. 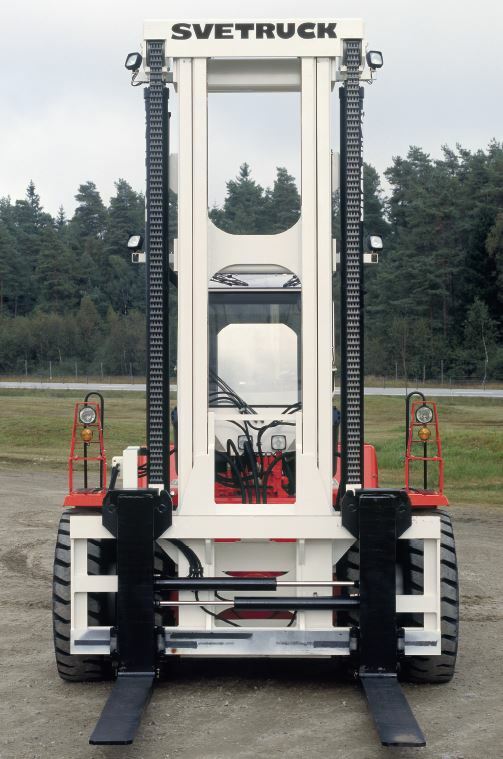 Mast with 4 mast rollers with dual bearings as well as 6 supporting rollers for the highest possible loading capacity. 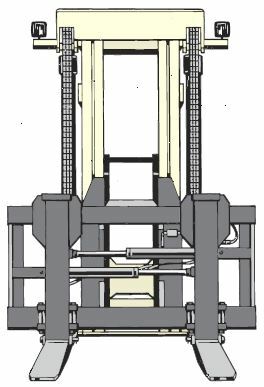 High stability due to the large distances between the rollers. 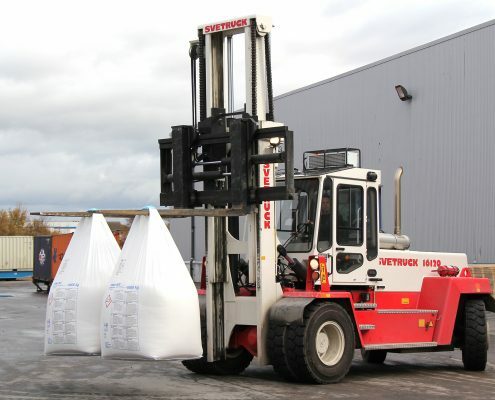 Dual lifting cylinders and lifting chains. 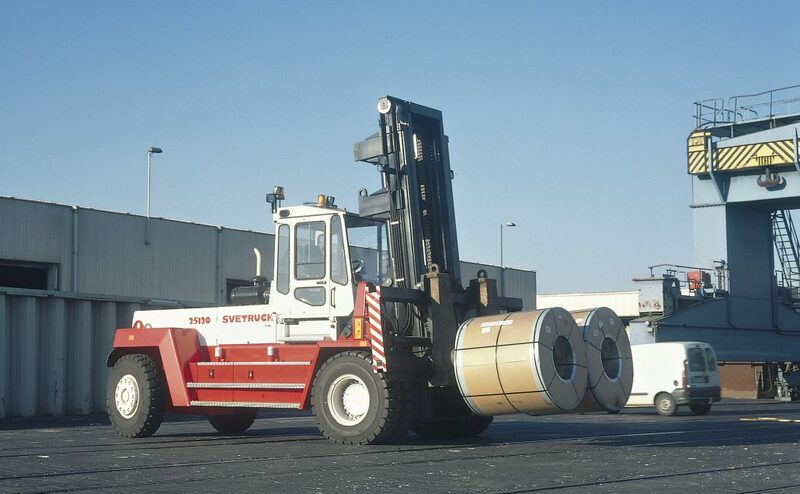 Hydraulic hoseguide mounted on the outer mast behind one of the lifting cylinders for good visibility. 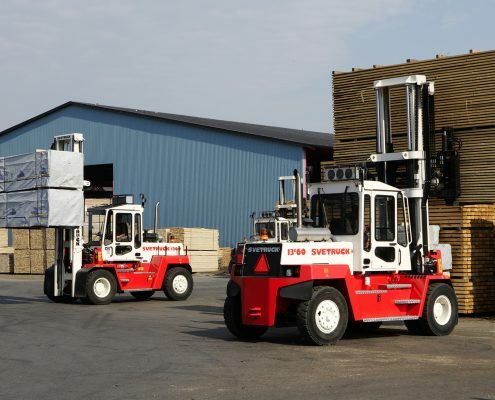 For work in low height areas, we can supply modern low built duplexand triplex mast with full freelift, with or without lifting chains. 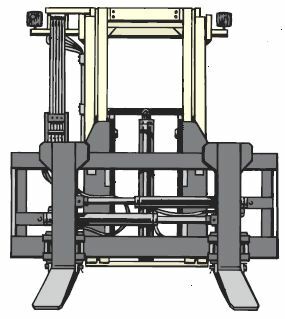 Hydraulic sideshift and fork positioning. 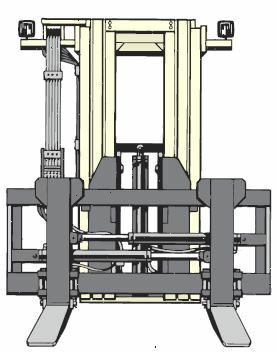 Hydraulic sideshift and fork positioning with quick release forks. 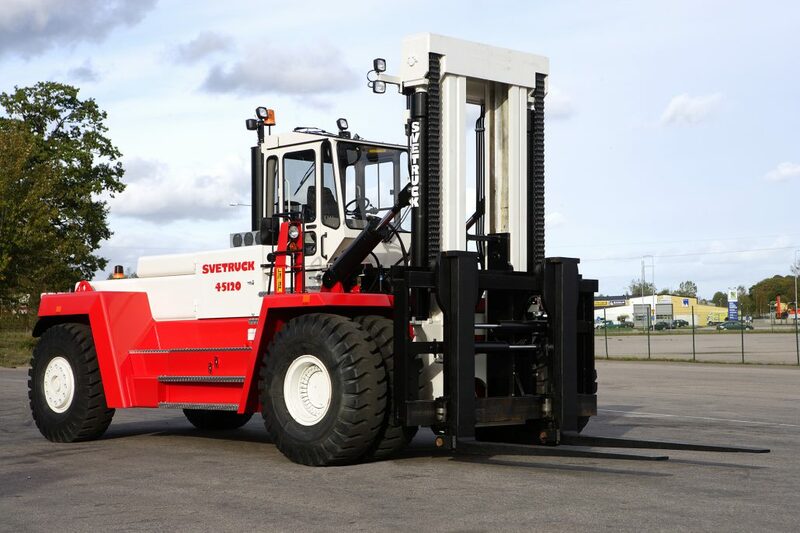 Hydraulic sideshift, fork positioning and fork levelling. 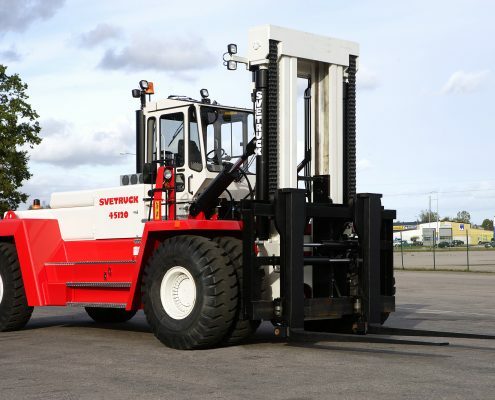 Hydraulic sideshift, fork positioning and fork levelling with quick release forks. 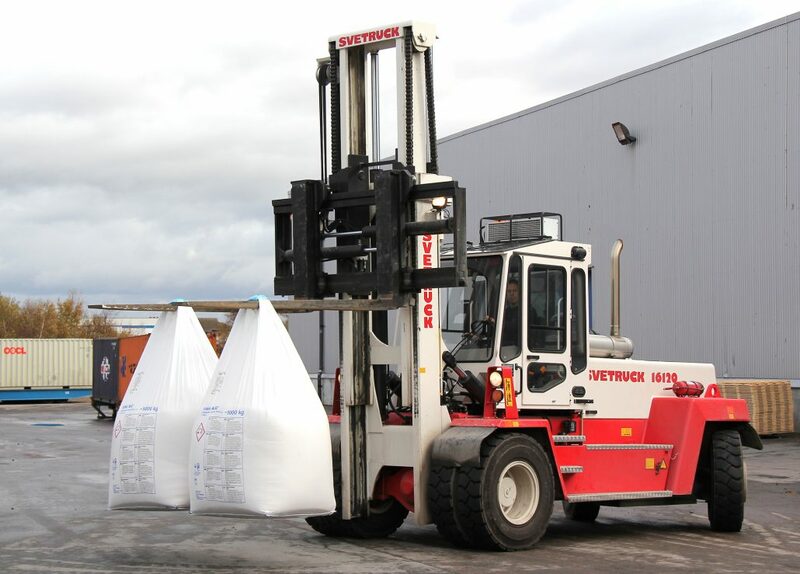 The quick release fork system for quick and simple change to alternative fork types, attachments and container lifting frames. 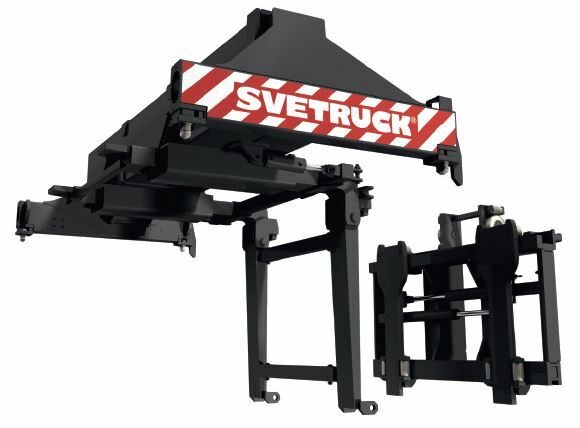 For maximum use of the lifting height with attachment for container and Piggy-back (semitrailer), inverted forks are available for quick mounting onto the fork carriage.